We’re Making a Maker Faire! Hammer City Makers is a group of local artist, thinkers and creators who have come together to organize Hamilton’s first annual Maker Faire. 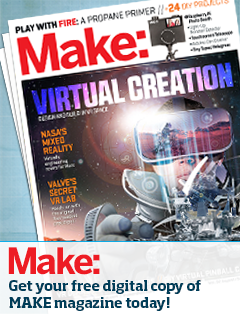 Make Magazine calls Maker Faires “The Greatest Show and Tell on Earth”. They are family friendly festivals of art, craft and invention. Maker Faires bring together educators, hobbyists, engineers, science clubs, authors, artists, students, commercial exhibitors and enthusiasts of all ages. The Faire provides a venue for these “makers” to show what they have made, and share what they have learned. Hamilton’s first Maker Faire launches on Sunday, June 21 2015 (Father’s Day) at the Hamilton Museum of Steam & Technology. The theme of the Faire will be “Hamilton: City of Makers”, celebrating our city’s long history of resourcefulness, as well as promote our emerging culture of art and entrepreneurship. Through this event, we hope to showcase the ingenuity of the “Hammer City”.